Peccadillo have confirmed their DVD release schedule for April and May 2011. We're a couple of days late with this one, but there's some good stuff in here and it's worth promoting. Each is priced at £14.99. What happens when the hardest team in the Sunday Soccer league comes up against a gay team and finds they've finally met their match? Watch and wince as fledging referee Elton Glixton struggles to control this testosterone tsunami as rude-boy meets bum-boy in this outrageous new comedy set in the crazy gung-ho world of 5-a-side football. British director Rikki Beadle Blair's (Metrosexuality, Stonewall) latest celebration of youth and being out and proud stars a whole slew of exciting young British talent, with some familiar faces in Stephen Hoo (FIT), Jay Brown (Summer) and Jason Maza (TV's Casualty). A hint of Sherry Horman's 2004 Balls here, and if it's as good then we're onto a winner. Extra features have yet to be confirmed. I Am Love meets Meet the Parents in this outrageous 'al dente' family comedy from celebrated award-winning director Ferzan Özpetek. Tommaso is the youngest child in the large, eccentric Cantone family who own a pasta factory in Puglia. When the Cantones gather for a family dinner to both welcome Tommaso's return and to discuss the future of the family business, a secret is revealed that throws the whole family into turmoil, and the strong familial ties which bind them together are put to the test with explosive and hilarious results. 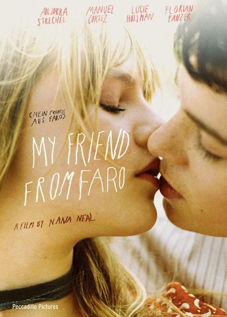 "With its themes of family secrets, oddball character parts, bittersweet tone and sunny outlook, this is easily the most Almodovar-esque of all Ozpetek's films" – Screen International. You can read our cinema review here. Nana Neul's blistering directorial debut has drawn comparisons with Boys Don't Cry and Unveiled. An assured, mature piece of work that draws heartfelt performances from its leads, Neul's future work will be worth watching out for. Tunis, 1942: Against the Allied bombs and the goosesteps of the Nazi occupiers, two teenage girlfriends, one Muslim, the other Jewish, cling to the bond they've shared since childhood. However, the world shared by Jews and Arabs is being split by German promises of liberation - they'll rid Tunis of the French and the Jews. As Myriam is no longer safe, her mother attempts to marry her off to a wealthy doctor to save them both. But Myriam doesn't want to get married, so she and Nour make efforts to scupper the wedding plans. César nominee writer/director Karin Albou's bold second feature lifts the lid on a chapter of WWII history that has rarely been shown. 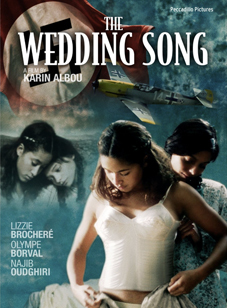 Reminiscent of women-led wartime films such as Aimée & Jaguar and The Diary of Anne Frank, The Wedding Song explores both Jewish and Arab cultures and female sexuality to winning effect. Tough, accomplished and decorated lesbian Marine officer Alexandra Everett unexpectedly returns home only to find that, away from the gunfire and harsh conditions of the Iraqi desert, life in the real world isn't all she hoped for. After a bar brawl and bout of binge drinking, Alexandra pulls herself together and finds an unlikely sparring partner in Saffron, a tearaway teen who she has been recruited to prepare for boot camp. Just as the pair begin to bond, the true reasons for Alexandra's return begin to unravel, threatening the future for both of them. 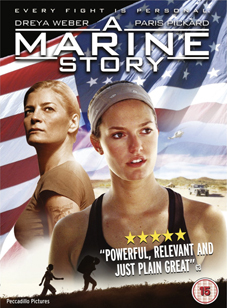 A Marine Story highlights the absurdity of the US military's 'Don't Ask Don't Tell' policy through the personal story of one courageous woman. Extra features have yet to be confirmed.